Don’t believe in Depopulation by the new world order? here is just a little of the proof. Hear it for yourself..vaccines are just one of the ways they are doing it! 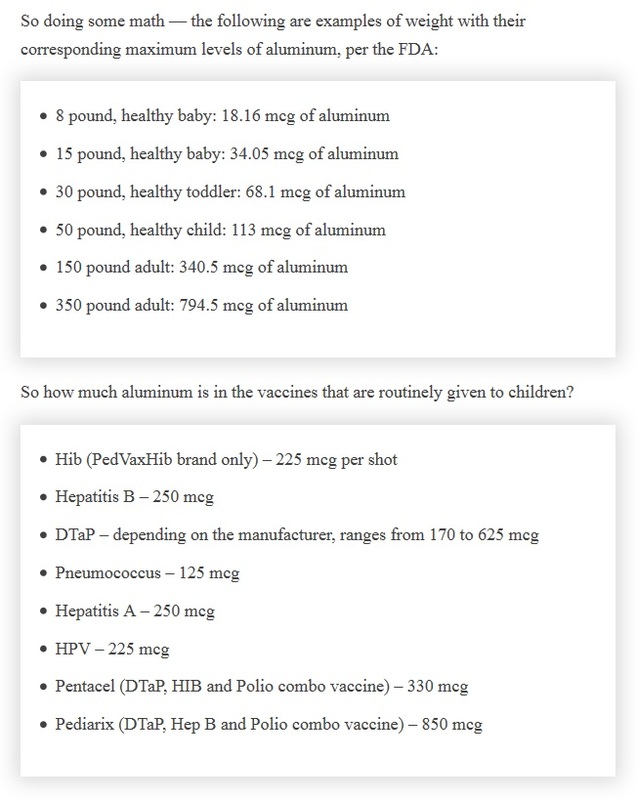 “The HEP-B shot alone is almost 14 TIMES THE AMOUNT OF ALUMINUM THAT IS FDA-APPROVED. The MMR? The dTap? All have similar amounts.